By 2019, it’s estimated that 80 percent of all internet traffic will be video. 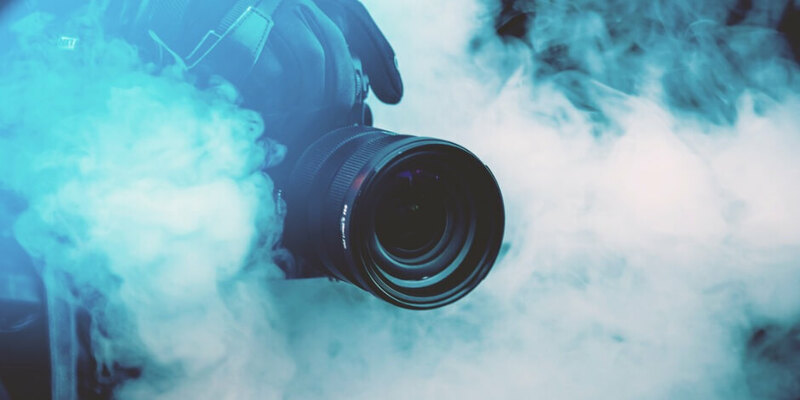 Video isn’t slowing down, so it’s important that you know how to make your content stand out and get the results you want. In this blog post, we’ll share lessons from our top-performing social videos. Use these insights to create your best video content in 2018. Facebook recently introduced a reshare feature that allows you to re-engage your audience with old video content. We tested this feature with one of our top-performing videos from last year: 5 Free Sites for Awesome Social Media Images. The strategy proved to be very successful—the video earned over 250,000 views and 2,000 reactions during its second run. We republished our stock photos video because it was a top-performer and we knew that it was relevant to our audience. Social media marketers still spend hours searching for free stock photos—and this video makes their lives easier by recommending a list of high-quality photo sites. Since we didn’t put any resources into creating this video in 2018, we had an excellent return on investment. It was a low risk with a high reward. Lesson: Recycle your top-performing content with Facebook’s reshare feature. Our Digital in 2018 video had the highest number of conversions this year. It not only led people to download our Digital in 2018 global report, but it also prompted them to sign up for free trials, check out Hootsuite Academy, and register for upcoming webinars. We treated this video like a sneak preview of the report’s findings to entice people to download the report. The report is long and in-depth, so we were careful not to overwhelm our audience. We included very little text on each video frame and used bright colours to make the stats stand out. By focusing on global stats, the video had a broader appeal across our target audience. Our goal was that any marketer—regardless of geographic region—would find our video useful. Lesson: Use social videos to give a preview or snapshot of long-form content to encourage conversions. While jumping on a trending topic can come off as forced or gimmicky in the wrong context, it’s absolutely worth doing if it’s relevant to your brand. The momentum acts like a springboard for your content, increasing your visibility and expanding your audience reach. A big part of why our Generation Z video was so successful was because we quickly jumped on the hot conversation about this new demographic. Timeliness is key. By sharing interesting statistics and facts, our video also showcased the power and influence of Gen Zers as consumers. We showed how their buying habits are different from Millennials, and gave quick tips for how to create content that would resonate with them. In this video, we used a narrative style approach—with slightly longer copy per frame—to effectively illustrate the rise of the Gen Z buyer. Lesson: Follow industry news and updates so you can share valuable insights with your audience when it matters. Facebook announces a major News Feed update, Snapchat will now let you share Stories outside the app, and WhatsApp officially launches its business app—January was a busy month for updates on social media. ???? Our social media roundup videos are a recurring monthly series that we started in 2018. In each video, we share the latest social media updates for marketers or anyone interested in learning about the industry. We don’t include a call to action or try to send people to other content. Instead, we want to educate our audience and offer something that’s valuable—without asking for anything in return. It’s why these videos often top the charts for us in terms of views and shares. Interestingly, we still get a lot of conversions from people who enjoy the content and want to learn more about what our company does. (We track this data using the Facebook Pixel.) Conversion is not the primary goal for this series, but it’s a nice added benefit of creating educational, high-quality content. Lesson: Provide value for your audience before you sell to them. Our Ted Talks social videos are based off one of our top-performing blog posts, 7 Ted Talks to Make You a Better Social Media Marketer. To make the most of this post we created two videos, sharing three recommendations in each. We posted part one in 2017, and it was our top-performing video of the year. Our second video (part two) proved to be equally successful. By creating another video on the same topic, we were able to retarget people who viewed the first Ted Talk video for 10 seconds or more. This allowed us to re-engage an audience that had already shown interest in our content. If you’re a Harry Potter fan like me, it might make sense to think of this strategy the same way that Hollywood filmmakers did for J.K. Rowling’s series finale, Harry Potter and the Deathly Hallows. If you’ve got a bestselling book, turn it into two movies. And sell them both to the same audience. Lesson: Split up your top-performing content and package it as a series. By using proven strategies to create and share your social videos, you’ll save time and money, and get better results. If you follow these tips, you’re on your way to creating your own top-performing video. Once you’ve created your winning social video you can use Hootsuite to easily upload, schedule, and promote it across multiple social networks.